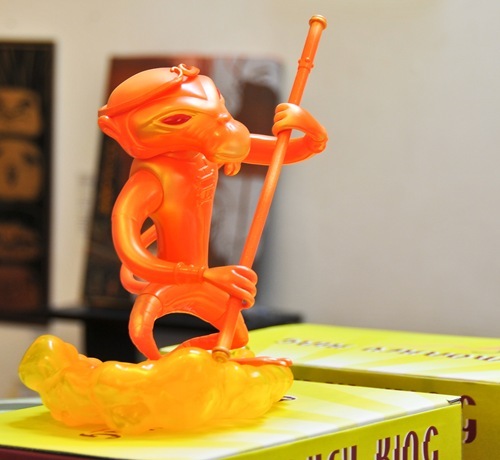 Munky King officially launched their new Monkey King figure from Nathan Jurevicius with yesterday’s (8.2.08) release event featuring the orange Fire Monkey (150 pcs). 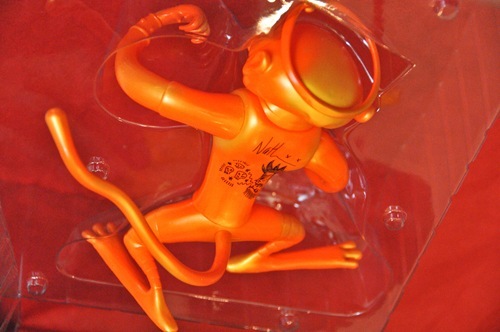 The figure is based on a short (minute or so) animation that Nathan did for MTV Asia. 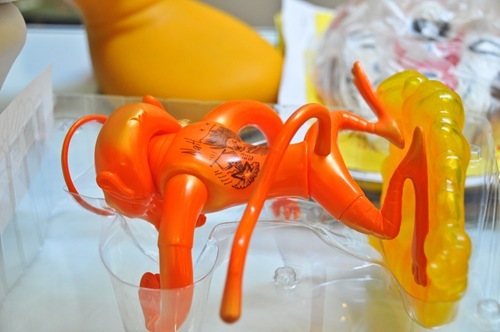 Sculptor Dave Pressler was able to use the animation as a sort of set of moving turn-a-rounds showcasing the character from numerous angles. 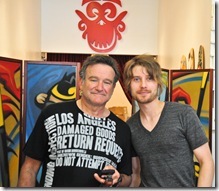 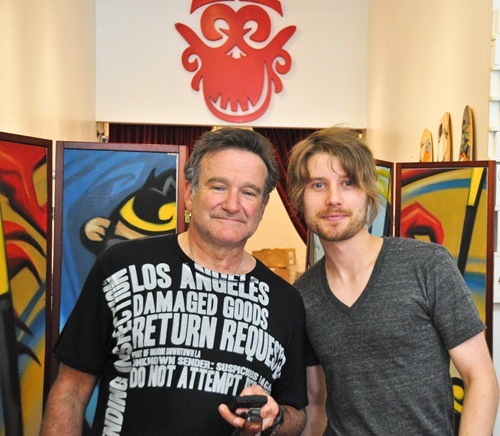 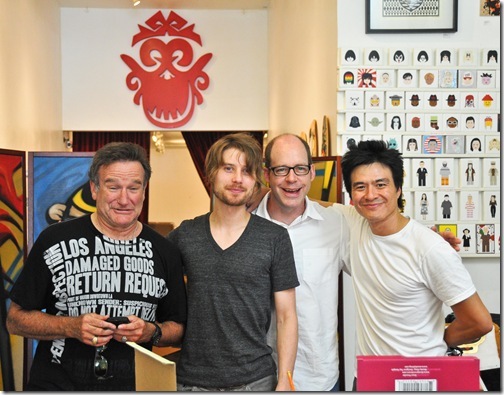 While we missed the main wave of collectors and fans, we did manage to catch a very well-known celeb and collector – Robin Williams. 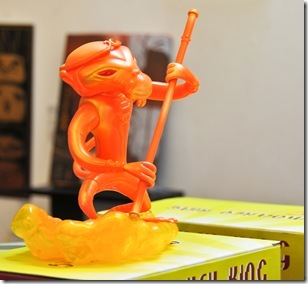 He’s been collecting for quite some time and apparently had been waiting for the Monkey King drop. 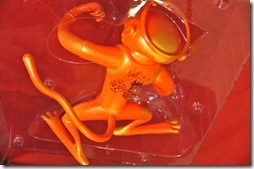 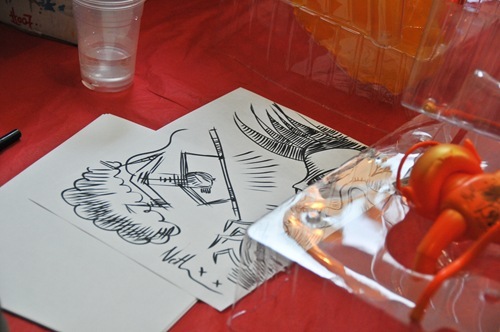 Nathan rocked some sweet Monkey doodles on the back of the Fire Monkeys – a nice touch. 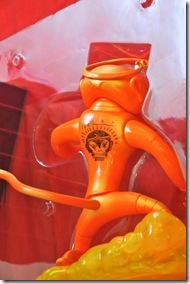 Props to Nathan, Dave Pressler, and Munky King on a very nice release.